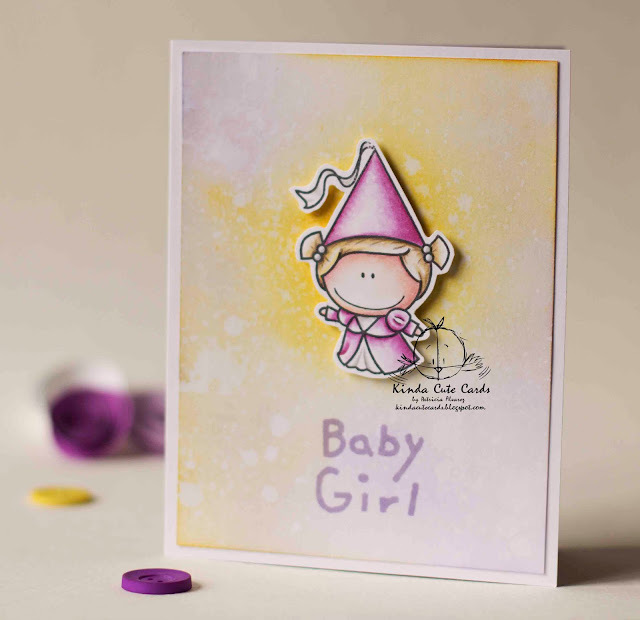 For today's card I am using one of my favorite stamps sets from CC Designs. The set is called Once Upon. It comes with the princess, the knight, the dragon and the unicorn. So cute! I colored the image with prismacolor pencils and I used mineral spirits. The background is made with distress inks and water drops. Sorry but I don't know where the sentiment came from. Remember that the May challenge in my Facebook group already started. Three digital stamps from my shop for the winner. So very sweet and cute! I love the background too.